The highlight of the National Hunt season is the Cheltenham Festival, and this year it starts on the 14th of March. For four days, the superstars of the jumping game pit their wits against each other, and it is shaping up to be one of the most exciting festivals ever. The likes of Douvan, Annie Power and Don Poli will lead the Irish challenge for Willie Mullins and Gordon Elliott. Thistlecrack has emerged as the hot favourite for the Gold Cup, and Colin Tizzard has plenty of ammunition. He can also call on the likes of Finian’s Oscar, Cue Card and Native River, and he could have his best Cheltenham ever in 2017. Paul Nicholls, Nicky Henderson, Philip Hobbs and Alan King are other trainers that usually do well at Prestbury Park. However, the emergence of Tizzard has blown things wide open, and it will be a fascinating battle for top trainer in 2017. Below is a day by day guide to Cheltenham 2017, and hopefully we can point you in the direction of a winner or two. Willie Mullins and Ruby Walsh have been the combination to follow in this race in recent years. They completed a hat trick in the race with Douvan in 2015, but Altior thwarted their bid for a 4 timer in 2016. Gordon Elliott saddled the winner in 2017 with 25/1 shot Labaik, a horse that had more or less refused to race on his previous two starts. Mullins has usually supplied the favourite for the race in recent years, but he hasn’t got a stand out performer as of yet and Samcro has probably been the biggest eye-catcher so far for Gordon Elliott. The unfortunate death of Fayonagh, one of the ante-post favourites, has blown this race wide open. Richard Woollacott's stable star Lalor went down narrowly on his hurdling debut to a promising looking type from the Harry Fry yard. However, the Grade 2 bumper winner was given a gentle introduction to hurdling by Tom Scudamore and he shaped as though there would be a lot more to come and he could be a lively outsider. The likes of Nicholls, Tizzard, Hobbs and King are all likely to have contenders for the opening race of the festival, as well as Willie Mullins and Henry De Bromhead. We will keep this page updated as the season progresses so make sure to check back for the latest news on the Supreme Novices' Hurdle. The Arkle has proved to be a happy hunting ground for favourite backers in recent years. Willie Mullins has won the last two renewals with odds on shots, and 4 of the last 5 favourites have won. Last year’s Supreme Novices’ winner Altior is a warm order for the Arkle this year. Nicky Henderson knows what it takes to win this race, having sent out Sprinter Sacre and Simonsig to victory in 2012 and 2013. Willie Mullins also has a strong hand and Min, who chased home Altior here last year, has been well backed. Yorkhill is another possible runner for Mullins, and those three dominate the market. This race lacks strength in depth this year, and it could be another good race for favourite backers in 2017. It looks a straight out battle between Henderson and Mullins, and that could be a recurring theme throughout the week. Once again, this is a race that Willie Mullins has dominated in recent seasons. He has won 3 of the last 4, and favourite Annie Power justified odds of 5/2 last year. The 2015 winner Faugheen is another possible entry for Mullins, and those two are at the top of the market. The Alan King trained Yanworth is next best in the betting, and King won the race in 2008 with Katchit. Brain Power is the leading contender from the Henderson stable, and he has been well backed. He dotted up in a strong handicap hurdle last time, but this will be a big step up in class. Henderson has won this race five times in the past, but his last win came in 2010 with the enigmatic Binocular. The last two favourites have delivered the goods in this race, and it is hard to look past Faugheen, if he takes his chance. This race was awarded Grade 1 status back in 2015, and it is an event that Willie Mullins has dominated. He has won 8 of the 9 renewals, and super mare Quevega won 6 in a row for him. Vroum Vroum Mag landed some hefty bets last year, and she dotted up at odds of 4/6. Of the last 5 odds on favourites, 4 have won and Annie Power was well clear when falling at the last in 2015. She is a possible runner in this for Mullins, as are Vroum Vroum Mag, Augusta Kate and Whiteout. Apple’s Jade, a former Mullins inmate, will likely run for Gordon Elliott and she is vying for favouritism. Jer’s Girl is another live contender for Gavin Cromwell, but she needs soft ground to be seen at her very best. Given his stellar record in the race, and the ammunition at his disposal, it is hard to look past Mullins for this race. The big question is, which one will he win with! Qualifying bet must be placed at odds of 2.0 or greater; £40 Free Sports Bet split into 4 bets of £10 each, valid on set events only; **Wager must be 40 times the Free Casino Bonus in order to withdraw winnings. Credit or Debit Card deposits only; Deposit and bet of £10 required within 7 days of opening new account, T&Cs apply. This 3m Grade 1 has proved to be a tricky heat for punters in recent years, with only 1 of the last 5 favourites obliging. Local trainer Nigel Twiston-Davies took it last year with 8/1 shot Blaklion. Future Gold Cup Winners Lord Windermere and Bobs Worth triumphed in 2013 and 2012 respectively. Bellshill is the clear market leader for Willie Mullins, but there are plenty of other genuine contenders at much bigger odds. Our Duke is near the head of the market, and he is a fascinating contender for Jessie Harrington. Anibale Fly is a huge price for shrewd handler Tony Martin, and he is a better horse than he showed last time out. The likes of O O Seven, Politologue and Whisper head the home challenge, and it looks a very competitive and wide open renewal. This is one of the most spectacular races at the festival, and it usually pays to stick with horses near the head of the market. They usually go lickety split from the get go, and an ability to jump slickly at speed is crucial. Some equine superstars have won this race down through the years. Dual winners Moscow Flyer (2003/5) and Master Minded (2008/9) will live long in the memory. Sprinter Sacre’s unlikely co0meback win last year was one of the most emotional moments of 2016. The legendary Henderson horse has retired, so it will be a chance for another top class 2 mile chaser to emerge. That new star looks like it could be Douvan, and the Willie Mullins charge is long odds on to take the crown. Altior and Fox Norton are next best in the betting but, barring accidents, it is hard to see Douvan getting beat in this race. It is one of the few Grade 1s at the festival that Willie Mullins has yet to win, and he will be hopeful of putting that right in 2017. This is yet another race that Willie Mullins has an excellent record in since its inception back in 2011. He has won three of the six runnings, including the last two in a row. Black Hercules got the job done for him last year at 4/1, and it is no surprise to see Yorkhill at the head of the market at 3/1 for the Carlow trainer. The last two favourites have obliged, and there has only been one winner at odds bigger than 7/1. Buveur D’Air is next best in the betting for Nicky Henderson, while Coney Island will be a threat to all for Tony Martin, if he takes his chance. In the past, it has paid to concentrate on the more fancied horses, and that could be the case again this year. This Grade 1 2m5f chase has produced some classy winners down through the years. The ill fated Vautour stormed to victory last season in what was one of the most spectacular performances ever witnessed at the festival. Only one of the last five winners has been priced up at bigger than 7/2, so it pays to follow the horses at the forefront of the market. It looks a really open renewal this season, and the 2013 winner Cue Card is shading favouritism at odds of 5/1. There is no shortage of potential challengers to the Tizzard horse, and the likes of Un De Sceaux and Valseur Lido shouldn’t be discounted. This race requires a mix of speed and stamina, and also the ability to jump slickly at speed. Yorkhill ticks a lot of boxes, and he could be hard to beat. Formerly known as the World Hurdle, the Stayers Hurdle looks a wide open race this year. Thistlecrack demolished the field last year, justifying favouritism, and he is now headed for the Gold Cup. Unowhatimeanharry is the current market leader at odds of 5/2. However, since the retirement of 4 time winner Big Bucks, Thistlecrack has been the only favourite to oblige. Harry Fry’s horse won the Albert Bartlett here last season, and he has looked imperious, so far, this year. Willie Mullins has a host of potential contenders, and Vroum Vroum Mag is as short as 6/1. Jezki is another interesting entry, and he showed that 3 miles was no problem when dotting up at Punchestown. This race is all about stamina, and you need bucketloads of it to get up the hill. Unowhatimanharry is a worthy favourite, but there are plenty of bigger priced alternatives that could be worth backing each way. The Triumph Hurdle is the first of three Grade 1s on the final day of the festival. This 2m1f heat is limited to 4yos only, and Ivanovich Gorbatov won it last year for O’Brien and McManus. 3 of the last 4 winners have been priced up at 9/2 or less, but only 1 favourite has won in the last 5 runnings. The biggest priced winner in recent times was 33/1 shot Countrywide Flame back in 2012. This is a tricky race to read as it can be hard to gauge the early season soft ground form. The ground is usually a lot better at Cheltenham, and that can lead to horses showing lots of improvement. Last year’s winning owner, JP McManus, owns three of the five market leaders. He also has a few more ex flat performers that could improve on better ground with Joseph O’Brien. Defi Du Seuil is the current favourite at 6/1, but dangers abound and an each way bet at a big price could be the answer. This Grade 1 3m hurdle was won by Unowhatimeanharry last season, and he is favourite for the World Hurdle. It has proved to be a minefield for punters in recent seasons, with just one favourite obliging since 2012. The last three winners have returned at odds of 11/1, 14/1 and 33/1. If you are looking for a big priced winner, this could be the race. However, Death Duty has really stood out this season, and he is the current 9/4 favourite for the race. He hosed up in a 20f Grade 1 at Naas last time, after which Elliott nominated this race as his most likely target. Elliott is as shrewd an operator as they come, and Death Duty could go off an awful lot shorter on the day of the race. This is the feature race of the week, and it is the one that all the big owners want to win. JP McManus, Rich Ricci and Michael O’Leary spend millions in pursuit of this race, and it is difficult to win. It takes a special type of horse to win a Gold Cup. 3m2f around here is seen as the ultimate test of stamina, speed and jumping ability. One mistake can be the difference between losing and winning, and some proper superstars have won it in the past. Don Cossack triumphed in 2016, but the sad news has emerged that he will be retired. The 2015 winner, Coneygree, has also been ruled out, and it just shows how much of a toll this race can take on its participants. Thistlecrack is odds on to win it this year for the Tizzards, and on what he has done this year he is hard to oppose. With the likes of Native River and Djakadam in the field it won’t be easy, and it promises to be as good a spectacle as ever this year. The last 8 winners have been aged either 5 or 6. Willie Mullins has won 3 of the last 4, and 5 in total. 4 of the last 5 winners have been 5/1 or shorter, so concentrate on horses near the head of the market. Until Altior in 2016, all 4 previous winners had run well in the Champion Bumper at Cheltenham the previous season. It is worth backing ante-post in this race rather than on the day, as prices are usually a lot shorter. One horse at a big price that ticks a lot of boxes is the Ben Pauling trained High Bridge. This 6yo was formerly trained by John Ferguson, and he was beaten just 4.5L in the Champion Bumper last season. He hacked up in a Novice heat last time, he will relish the likely decent ground and he is worth backing each way at odds of 25/1with Coral. Willie Mullins has an excellent recent record in this race, winning 4 of the last 6. Nicky Henderson is the most successful trainer overall in this race, winning it 5 times. Ruby Walsh has ridden the last two winners, and he has won it 4 times in total. 3 of the last 4 favourites have obliged, and Rock On Ruby (11/1) is the only double figure priced winner since 2010. Annie Power won it last year as an 8yo, and Hurricane Fly was 9 when scoring in 2013. 2015 winner Faugheen is the current market leader, and if he takes his chance he will be hard to beat. It is usually better to wait until closer to the day to bet on this race, as Mullins could decide to run some of his entries elsewhere. 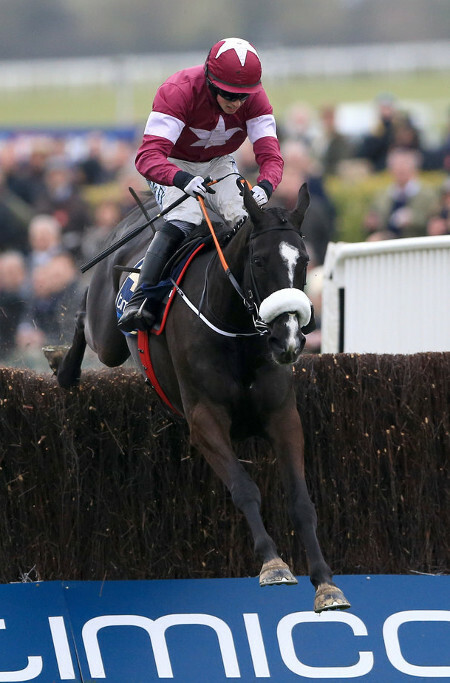 At the current prices, Petit Mouchoir looks a fascinating contender for Henry De Bromhead and Gigginstown. He hosed up in a Grade 1 last time at Leopardstown and he looked the most likely winner of the Fighting Fifth before coming to grief at the 3rd last. This 6yo seems to be improving with every run and, at odds of 8/1 with Boylesports, he represents value in this year’s Champion Hurdle. Barry Geraghty is the most successful jockey in this race, winning it 4 times in total. Nicky Henderson has also won it 4 times, so watch out when those two team up in this race. The last six winners have been either 6 or 7 years old and 4 of the last 5 favourites have obliged. Willie Mullins won it in 2016 and 2015, with Ruby Walsh on board for both. Previous winners of the Supreme Novices’ Hurdle have a good record in this, and last year’s winner Altior is a short price for this year. Min is next best in the betting, but at bigger odds we think Charbel could run well for Kim Bailey. He was 5th in the Supreme Novice last season, he ran well behind Altior at Sandown and he goes on any ground. At odds of 33/1 with William Hill, this promising 6yo is our ante-post each way suggestion for the Arkle. Another race that Willie Mullins has dominated, winning 8 of the 9 runnings. Ruby Walsh has ridden 7 of those, including Vroum Vroum Mag last season. Quevega made this race her own, winning it 6 times in a row from 2009-2014. Favourite backers have made hay in this race, and only one jolly has failed to win since 2009. Mullins has 6 of the possible 16 runners, and Vroum Vroum Mag and Annie Power are battling it out for favouritism. The last 2 renewals have been won by 7yos, and Lifeboat Mona is the only 7yo in the field this year. The Paul Nicholl’s trained mare has looked impressive the last twice, and she has won 6 of her 9 career starts. She is versatile regarding ground, she took the step up to Listed company in her stride last time and, at odds of 16/1, she could run a big race for each way backers. Willie Mullins has won 2 of the last 3, and 4 in total. All winners aged either 5 or 6 since 1999. 2 of the last 5 favs have won, but no winner bigger than 9/2 last 5 seasons. It pays to concentrate on horses at head of the market. Prices usually shorten a lot before the race, so ante-post betting makes sense on this race. 4 of the last 5 winners have been by national hunt sires, and stamina is key. Finian’s Oscar is the current market leader for the Tizzards and he has looked good this season. We like the look of Messire Des Obeaux for Nicky Henderson. This ex-French son of Saddle Maker is proven over the trip and should handle any ground. He ran well in a handicap at the festival last season and, at odds of 12/1 with Ladbrokes, he represents a bit of value against the favourite. Nicky Henderson is the trainer to follow in this race, winning 3 of the last 5 renewals. Barry Geraghty also has a fine record, and he has won it 5 times in total. Only 1 winner has been aged 10yo or older since 2006. 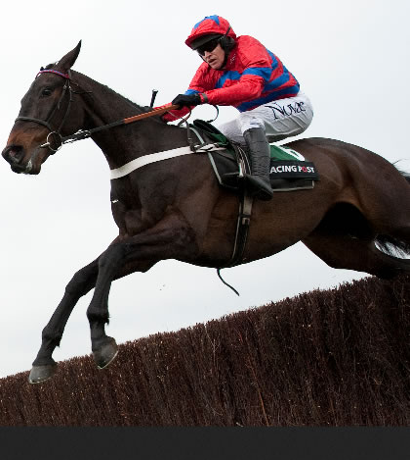 Favourites have won 2 of the last 5, and Sprinter Sacre won it last year at 5/1. Willie Mullins has yet to win this race, but he has the red hot favourite in Douvan this year. He is a very short price, and if he runs he looks by far the most likely winner. One horse that looks overpriced in the ante-post market is Gods Own. He was 4th in this race last year before going on to score at Aintree and Punchestown. He also has a festival 2nd to his name in the Arkle, and this 9yo son of Oscar could easily sneak a place behind Douvan. He can be backed at odds of 20/1 with BetVictor, and that is too tempting a price to turn down. Yet another race that Willie Mullins has a fine record in, winning it 4 times in total. 7yos have won 9 of the last 10 renewals. This race has proved to be a good trial for the Gold Cup. Lord Windermere, Bobs Worth and Don Poli have won or run well in the showpiece after winning this. Only 1 of the last 5 favourites have obliged, so an each way bet is usually the way to go. Bellshill is the current favourite at around 4/1 for Willie Mullins. At bigger odds we think Our Duke could be the one to be on, especially if the ground is soft. Jessica Harrington’s 7yo son of Oscar is unbeaten over fences and she won this race in 2011 with Boston’s Angel. He can currently be backed at odds of 10/1 with Betway and he is our ante-post each way selection. This 2m4f Novices’ Chase was first run back in 2011 and Noble Prince was the winner. Willie Mullins has won 3 of the 6 renewals, including the last 2 in a row. All winners have been either 6yo or 7yo. Black Hercules in 2016 and Vautour in 2015 are the only two favourites that have won. Irish based trainers have won 5 of the 6 runnings of the race. Yorkhill is the current market leader at 2/1 for last year’s winning connections. At a bigger price, Politologue is a fascinating contender for Paul Nicholls. This 6yo has won both chase starts this season with consummate ease, and he is an exciting prospect. Nicholls has been coy about his plans for Politologue, so it makes sense to wait for bookies to go non-runner no bet on the JLT Chase. However, if you are intent on having an ante-post bet on the race right now, the 14/1 about Politologue from Betfair looks too big to turn down. This 3 mile Grade 1 hurdle race has been dominated by UK trainers in recent years. Only 1 Irish horse has won since 1996 (Solwhit 2013). Thistlecrack in 2016 was the first favourite to oblige since Big Bucks in 2012. Ruby Walsh and Paul Nicholls have won this race 4 times, all with the legendary Big Bucks. Most bookmakers are non-runner no bet on this race already, but make sure to shop around before placing your bet. Unowhatimeanharry is the 5/2 favourite for Harry Fry and he was a festival winner last year. Shaneshill looks an interesting contender at a big price for Willie Mullins. He was a good 2nd to Thistlecrack last year at Aintree and he has filled the runner up spot on his three previous festival runs. He is versatile regarding ground, and if he does take his chance in this race he will be a lot shorter than he is now. At odds of 14/1 with Paddy Power he represents each way value in an open looking renewal. This 2m 5f race was awarded Grade 1 status in 2008 and it is an event that UK trainers have dominated. Willie Mullins broke their stranglehold in 2016 with the ill-fated Vautour. It has been a happy hunting ground for favourite backers, with 3 of the last 5 obliging. The last 5 winners have been aged either 7yo or 8yo. Nicholls, O’Neill, Henderson and Pipe have all won it twice. Tony McCoy is the most successful jockey in the race with 3 wins. Un De Sceaux is the current market leader at 4/1 for Mullins and Ricci. We think Zabana is a potential dark horse at a big price for Irish handler Andy Lynch. He was a close 2nd here in the Coral Cup back in 2015, before unseating at the off in the JLT in 2016. He made amends at Punchestown and, with Bet365 going non-runner no bet for this race, he is worth backing e/w at odds of 16/1. This 2m 1f Grade 1 is for 4yos only and it has been dominated by horses with flat pedigrees in recent seasons. Ivanovich Gorbatov, a son of Montjeu, justified favouritism last year when scoring at 9/2 for Joseph O’Brien and Barry Geraghty. Falco, Authorized, Jeremy and Haafhd sired the previous four winners. The last couple of favourites have won, but those are the only two jollies to oblige since Detroit City in 2006. Nicky Henderson has won it 6 times, while Barry Geraghty has been on the winner 5 times. Joseph O’Brien has a strong hand with some smart former flat horses. The current favourite is dual Cheltenham scorer Defi Du Seuil, unbeaten over timber after 4 starts. We think Housesofparliament represents a bit of each way value at a bigger price. Joseph O’Brien’s son of Galileo was an excellent 2nd in the St Leger and he showed an aptitude for hurdling when 2nd on debut at Leopardstown (yielding). He will be a far better horse on good ground and, at odds of 20/1with Betfred he has an attractive profile for this race. This 3m 2f Grade 1 Chase is the ultimate test for National Hunt Horses. The favourite has obliged in 3 of the last 6 renewals. The last 5 heats have been won by either 8yos or 9yos. The last two winners, Don Cossack (retired) and Coneygree (injured), won’t be running this year. Willie Mullins has had the runner up the last 4 years, but he has yet to win this race. Colin Tizzard has a strong hand, and he trains 3 of the 4 market leaders. Thistlecrack is even money with Skybet after a stunning display last time. 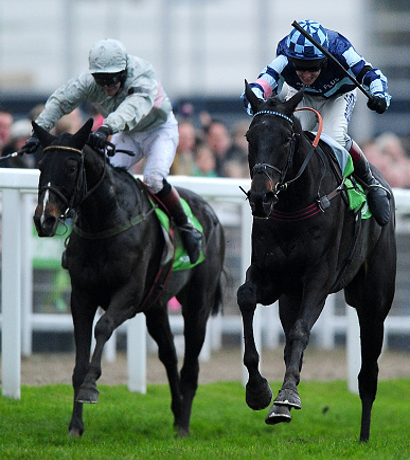 Native River has also looked imperious this season, and he is next best at 6/1 with Coral. Cue Card is another potential contender for Tizzard, but he could head for the Ryanair. Last year’s 3rd Don Poli could be a shrewd each way bet at odds of 25/1 with Bet365, who go non-runner no bet on this race. He shaped well in the Lexus chase when runner up behind Outlander. He won’t be as big a price on the day, and if the Tizzard horses have an off-day, he could be the one to capitalise. This 3m Grade 1 for novice hurdlers has been hard to predict in recent seasons. Only 1 of the last 5 favourites have won, with winners at 11s, 14s and 33s in the last three renewals. This race has produced some classy winners, including the likes of Bobs Worth and Weapon’s Amnesty. Unowhatimeanharry scored last year for Harry Fry and he is fav for the Stayer’s Hurdle. 9 of the 12 renewals have gone to either 6yos or 7yos. Jonjo O’Neill is the leading trainer, winning it in 2006 and 2007. AP McCoy is the leading jockey with 3 wins, in 2006, 2007 and 2013. Death Duty is a warm order for this race and he looks a strong favourite at 5/2 with Skybet. Wholestone looks an interesting type at bigger odds for Nigel Twiston Davies. He is 2/2 over course and distance and he was a Grade 2 winner here last time. He can be backed at 16/1 with BetVictor, and he represents each way value against the favourite. Now that a number of bookies have gone non-runnner no bet on Cheltenham 2017, it is time to start looking at the various handicap races at the festival. These races are usually difficult to read, and it makes sense to keep stakes small. For those that are in search of that elusive big priced winner, the handicaps are usually a good place to find them. The Championship races are, by and large, dominated by the big yards and owners. However, the handicaps give the smaller stables a chance to shine. For those that prefer a bit of each way value, the handicaps are a fine place to start. So, if you want to find out how to bet, where to bet and, most importantly, how to win in the handicap races at Cheltenham 2017, read on. 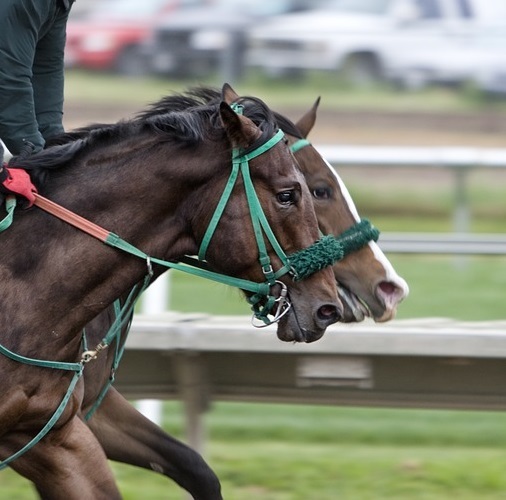 Here you have a few tips on how to make the most out of your handicap betting on Cheltenham. Before you choose your bookie, check out our extensive bookmaker reviews. Bet365, William Hill and Skybet are all going non runner no bet on ALL races at Cheltenham 2017. If you are considering an early ante-post bet, it makes sense to get on with one of those three bookies. For those that prefer to wait until closer to the day, it makes sense to shop around. Some bookies might offer an extra place each way in this race, so make sure to check our promotions page before you have a bet. Paddy Power and Ladbrokes are bookmakers that often offer some of the best promotions for Cheltenham. This Grade 3 handicap chase is run over 3 miles and is for horses aged 5yo and up. This race has been a disaster for favourite backers, with none winning in the last 5 renewals. Jonjo O’Neill has an excellent recent record in this race. He trained the runner up last season, and he won it in 2014, 2012 and in 2009 with the enigmatic Wichita Lineman. The shortest priced winner since 2012 was The Druids Nephew at 8/1 back in 2015. 5 of the last 6 renewals were won by 7yos or 8yos. The last 3 winners have carried more than 11 stone, so the classier horses at the head of the handicap are worth considering. There is usually a massive field for this contest, so an each way bet is the sensible option. Holywell looks a fascinating contender for the aforementioned Jonjo O'Neill. He won this in 2014 off 145, he was runner up last year off 153 and he gets in off 148 this year. He was also a good fourth behind Coneygree in the Gold Cup in 2015, so he clearly loves Cheltenham. He has yet to fire this year, but he is likely to have been trained with this race in mind, and a big run could be forthcoming. This Listed Handicap Chase is run over 2m 4f and it is for horses aged 5yo and up. It has been slim pickings for favourite backers in this race, with Hunt Ball the last to oblige in 2012. 3 of the last 4 winners were 6yos, but 9yo Ballyalton bucked that trend in last year’s renewal. Bar Present View in 2014, the other three winners since 2013 were priced up at 11/1 or bigger. Class usually tells in this race, and no winner has carried less than 11 stone since Chapoturgeon back in 2009. Ferdy Murphy is the leading trainer with two wins, but he has relocated to France. As with all handicaps at the festival, small stakes each way at big odds is the way to go. Make sure to check our promotions page for the latest offers, as Coral and Betfair often pay an extra place in Cheltenham handicaps. We really like the look of Powersbomb here for Irish handler Brian McMahon. He was desperately unlucky last time, going down by a head despite making a horrendous blunder two out. He was 2L up when falling at the last on his penultimate run, so he could be coming here in search of a four timer with a bit more luck. He looks a huge price at 33/1 with Ladbrokes, and he has to be worth backing each way at those sort of odds. This Grade 3 handicap hurdle is run over 2m 5f and it is for horses aged 4yo and up. Favourite backers should avoid this race, with none winning in the past 5 years and just one single figure priced winner in that period. Before last season 5yos and 6yos had won 4/5, but Diamond King won it as an 8yo in 2016. Apart from Aux Ptits Soins in 2015, the other four winners since 2012 were priced up at 12/1 or bigger. Five of the last nine winners have carried less than 11 stone, so look for unexposed types off low marks. The Pipe yard has won this race three times, and Davy Russell is the leading jockey with the same number of wins. As with all handicaps at the festival, the best strategy is to stick with small stakes at big prices. Make sure to check our promotions page for all the best Cheltenham 2017 offers. Bet365 and Ladbrokes often pay an extra place in Cheltenham handicaps. Alan King's useful dual performer Who Dares Wins ticks a lot of boxes for this race. Step up to 21f ought to suit this 14f flat winner and he will be spot on after a warm up run at Huntingdon. Alan King won this race with Medinas off a mark of 148 in 2013, and this 5yo son of Jeremy is off 2lb lower. We think he looks a monstrous price at odds of 33/1 with Paddy Power, and he could give each way players a run for their money. This Grade 3 novices’ handicap hurdle is run over 2m 87yds and it is for horses aged 4yo only. This race has been a nightmare for favourite backers, with 4 of the last 5 winners priced up at 25s or bigger. Diego Du Charmil scored at 13/2 last year, but the 4 previous winners won at 25s, 33s, 25s and 40s. Since this race was first run in 2005, 7 of the 11 winners have carried at least 11 stone. Paul Nicholls is the leading trainer with 3 wins, and he has won the last 2 renewals. Anything that Nicholls runs in this race is entitled to maximum respect. If you decide to have a bet on this race, stick to unexposed types from the bigger yards. Make sure to check out our promotions page for all the best Cheltenham 2017 offers. Stanjames and Paddy Power often pay an extra place in Cheltenham handicaps, so make sure you shop around. Prospectus looks a fascinating contender for up and coming Irish handler Gavin Cromwell. Prospectus didn't pull up any trees on the level, but he has looked a natural over timber. He won easily last time out and a rating of 133 may well underestimate his ability. He can be backed at odds of 20/1 with William Hill, and at that sort of price he has to be worth a punt e/w. This Listed handicap hurdle is run over 3 miles and it is for horses aged 5yo and up. Only one favourite has obliged since 2012, but only one horse has won at bigger than odds of 14/1 in the same period. 3 of the last 4 winners were 6yos, and it will be interesting to see if that trend continues this year. Holywell won it at 25/1 in 2013, and his trainer Jonjo O’Neill has won it a record 4 times in total. Eight of the last ten winners of the Pertemps carried less than 11 stone, so look for horses with a nice low weight. Especially if it comes up soft. Any entry from the Jonjo O’Neill yard is entitled to maximum respect given his stellar record in this event. There is usually a big field for this race, so there is lots of each way value to be found at bigger prices. Coral and Ladbrokes often pay an extra place in Cheltenham handicaps, so shop around before you put your money down. Dr Richard Newland looks to have a live chance here with Duke Street, who warmed up for this with a win at Wolves (16f). He looked in need of further when a staying on second at Kempton over 21f. Newland is a shrewd operator, and if the money comes for this fella watch out. We can't see odds of 20/1 lasting for too much longer, and you can back him each way at that price with Coral. This handicap chase is run over 3m 2f and it is for horses aged 5yo and up and amateur jockeys only. Only one jolly has obliged since 2012, Sunnyhillboy for Jonjo O’Neill back in 2012. 4 of the last 9 winners were 9yos, but a couple of 7yos and The Package, at the grand old age of 12, have scored in that period. David Pipe and his father have won this race 5 times between them, and they always seem to target this event. The last winner of this race to carry less than 11 stone was High Chimes all the way back in 2008. This race is suited to horses that are tried and tested in handicaps with big fields, and it pays to stick with the higher rated horses. David Pipe’s entries are entitled to maximum respect, given his superb record in this event. Just as in the other handicaps at the festival, stick with small stakes at big odds, because anything can happen in these races. Make sure to check our regularly updated promotions page for all the latest Cheltenham 2017 offers. Stanjames and Boylesports often pay an extra place in Cheltenham handicaps, so shop around before you part with your hard earned cash. We think Nicky Henderson could hold the key here with 10yo Hadrian's Approach. This fella has been freshened up since he finished an excellent staying on 2nd behind Gold Cup fancy Native River at Newbury (26f). He is off a rating of 140, 6lb lower than he was for his last success at Sandown back in 2014. We think he could be ready to bounce back to form, and at odds of 20/1 with Betfred he is the each way pick. This Grade 3 handicap chase is run over 2m 5f and it is for horses aged 5yo and up. Only one favourite has rewarded support since 2012, and there have been some big priced winners in that time. 3 of the last 4 winners were 9yos, and experienced handicappers can come to the fore in this race. Ballynagour won if for David Pipe at 12/1 in 2014 and, including his father’s 4 wins, the Pipes have won it 7 times in total. No winner of the Brown Advisory Plate has carried more than 11 stone since Mister McGoldrick in 2008. So, you should look out for horses near the foot of the handicap. If it is soft, a low weight makes a bigger difference as stamina comes into play. Any entry from the David Pipe should be feared given his superb record in this event. Big fields are usually the order of the day in this race, so look for a bit of each way value in the markets. Make sure to check our promotions page for all the best and latest Cheltenham 2017 offers. William Hill and Paddy Power often pay an extra place in Cheltenham handicaps, so shop around before you have a bet. Henry De Bromhead's Balko Des Flo's sibling Salut Flo won a handicap chase here, and we think he could go well off a mark of 143. He was beaten just 7L in a hot Grade 1 Novice last time behind Disko, and he ran well to be 5th here in the Albert Bartlett last season. Chasing was always going to be his game, and he won't mind what the weather does. He could be well treated on handicap chase debut, and at odds of 25/1 with BetVictor. This Grade 3 handicap hurdle is run over 2 miles 1 furlong and it is for horses aged 5yo and up. This race has proved to be a minefield for favourite backers, and no jolly has won since Desert Quest back in 2006. 8 of the last 9 winners were either 5yo or 6yo, Alderwood bucking the trend by winning as an 8yo in 2012. Paul Nicholls has won this race a record four times, so keep an eye on any of his entries. Cheltenham specialist Ruby Walsh has also won it 4 times, his last victory coming on Final Approach back in 2011. Ten of the last thirteen winners of the County Hurdle carried less than 11 stone, so it pays to concentrate on horses with a nice low racing weight. As with all handicaps at the festival, a massive field is guaranteed so small stakes at big odds each way is the advised strategy. Make sure to check our promotions page for all the biggest and latest Cheltenham 2017 offers. BetVictor and Paddy Power often pay an extra place in Cheltenham handicaps, so shop around before you put your money down. Gordon Elliott does well in these handicaps and he has an interesting contender in Mick Jazz. He won cosily last time out in a Listed heat by a neck and he has been handed a mark of 143. He had form with the likes of Top Notch and Old Guard when trained by Harry Fry, and he has improved with every run for Elliott. He looks a big price at odds of 16/1 with Ladbrokes, and he could go off a lot shorter on the day. This Class 2 handicap hurdle is run over 2 miles 0.5 furlongs and it is for horses aged 5yo and up. Favourite backers have had nightmares in this race, with Alderwood in 2013 the only jolly to win since 2012. Solar Impulse won as a 6yo in 2016, but the previous 5 renewals were won by 7yos or 8yos. Paul Nicholls is the leading modern day trainer with three wins. The last three winners of the Grand Annual carried more than 11 stone, but the previous 17 winners carried less than 11 stone. As with all handicap races at the festival a big field is guaranteed, so look for value each way and keep stakes small. Make sure to check our promotions page for all the biggest and best Cheltenham 2017 offers. Stanjames and Ladbrokes often pay an extra place in Cheltenham handicaps, so shop around before you put your money down. Croco Bay is a very interesting runner for Ben Case off a mark of 141. Was an excellent 3rd in this race 2 years ago off 149, and his last run off 141 resulted in a win. Was in the process of running a big race here when unseating off 146, and he would have been placed at least. He looks a massive price at odds of 50/1 with Betfair, and at that price he has to be worth backing each way. This Class 2 handicap hurdle is run over 2 miles 4 furlongs and it is for horses aged 4yo and up. Favourite backers have not profited in this race, with Sir Des Champs in 2011 the only jolly to oblige since the first running in 2009. All of the 8 winners of this race have been aged either 5yo or 6yo. Willie Mullins has been the man to follow in this contest, winning it three times in total. No jockey has won this race on more than one occasion. All eight previous winners of the Martin Pipe Hurdle carried less than 11 stone, so it pays to stick with the classier horses at the head of the handicap. As with all handicap races at Cheltenham, a big field is likely so small stakes at large odds each way is the way to go. 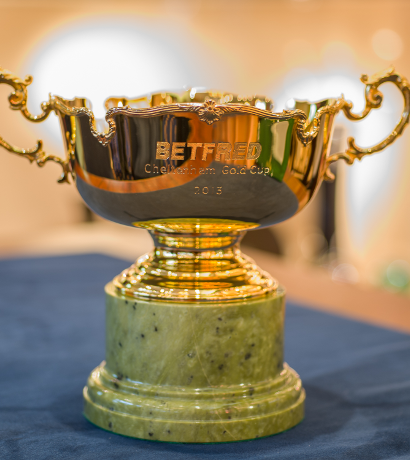 Betfred and Betfair often pay an extra place in Cheltenham handicaps, so shop around before you put your money down. Paul Nicholls won this last year, and he has a very interesting contender in the unexposed Tommy Silver. This 5yo was very impressive under Stan Sheppard last time at Taunton, winning easily off 134. He stayed on well up the hill at last year's festival in the Triumph, so he should be suited by the step up in trip. His mark of 140 could turn out to be generous, and at odds of 25/1 with William Hill he should be backed each way.